Saving money is essential to building your net worth. Savings accounts and money market accounts are meant to hold your liquid assets or funds that you expect to use within a year. You may think, “If you've seen one high-yield savings account, you've seen them all” but, actually, higher interest rates and certain features can make one account a better choice than another. As online banking has evolved, consumers can find a high yield and still hope to get the mobile and digital banking convenience they need. They're free to compare interest rates and account features in search of the best online high-yield savings account for their liquid assets. When you want to set up an emergency fund or other savings account for short-term liquidity, an online savings account usually offers higher interest rates than many brick-and-mortar banks. In addition, online banking is much more convenient. While money market accounts are similar to savings accounts, they used to earn higher interest rates and their restrictions then were more stringent than they appear to be today. Our research is showing that, in some respects, the differences between the two types of accounts are blurring. In your search for the best money market account, you may find that interest rates are quite similar to savings account rates. Also, the minimum balance requirements and number of withdrawal transactions allowed may be on par with savings accounts. All of this underscores the need to personally investigate the specifics of any account you open. Even though rates are low right now, they will eventually rise as the economy recovers. Regardless, it is important to develop the habit of saving. 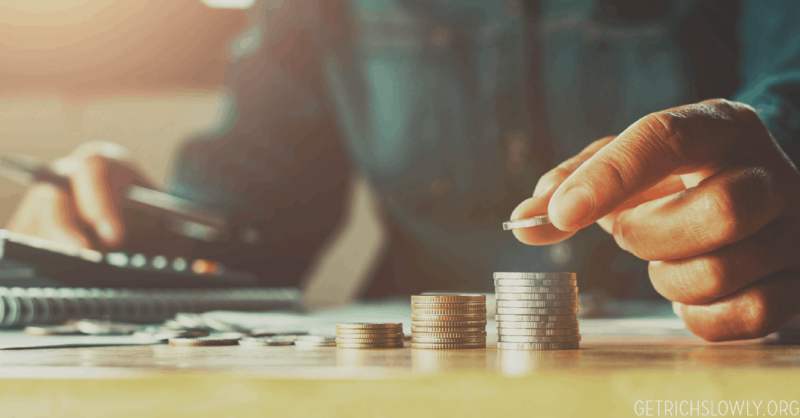 Keeping track of the latest interest rates is the research part of that habit, but the payoff is that the best interest rates and services can help you make the most of your savings in any economic environment. Here is a synopsis of what some of the major banks offer with a direct link to their individual website. That way you can easily learn more and open an account when you are ready. Most Americans aren't saving much these days, but if they knew how to better grow their money with high savings rates, they may change their mind. One recent survey found 62 percent had less than $1,000 in a savings account, and only 29 percent had over $1,000 put aside for emergencies. In case of emergency, there's actual money to cover the cost, so you don't end up overloading credit cards or having to take out a loan. It makes you more aware of your overall financial picture, especially if you set up a schedule to make deposits into the savings account. Saving money up front also saves you on interest if you do need to cover an unexpected cost or save for something specific like a new car or a vacation. If you lose your job or find your hours reduced, a savings account is a nice addition to whatever severance or unemployment you receive. With all the reasons to open a savings account, how about exploring these options? With a high savings rate, Ally Bank customers benefit from no monthly fees or minimums. Using the Ally Bank mobile app, customers can pay bills, perform money transfers and make deposits via mobile check deposit or other methods like electronic transfer, direct deposit or mail. In addition to a top-rated APY of 1.50%, Synchrony Bank offers a rewards program to get more out of your savings account. Synchrony Bank customers are automatically enrolled in its Perks program when they open a savings account (or other account like a certificate of deposit or individual retirement account). Synchrony Bank Perks gives customers a chance to earn rewards like ATM fee reimbursements and travel discounts. While Discover Bank is a big name among credit cards, its savings account is also deserving of attention, featuring no monthly maintenance charges. There is no minimum to open an account with Discover and after opening your savings account, there are no other minimum balance requirements to earn a high APY of 0.95%. Barclays Bank offers an online savings account that has no minimum balance to open and a small minimum of just 1 cent to grow your money with an APY of 1.50%. The bank's mobile app has various features to manage your account like reviewing balances, transferring money and more. For a no frills online savings account, look to MySavingsDirect with its MySavings Account with no minimums to earn APY. Although MySavings Direct does not have a mobile app to oversee finances, customers can access their account information via online banking. Though Bank5 Connect has minimum balance requirements unlike some of the other banks on the list, it still has a similarly high savings rate. The bank has a minimum opening balance of $10. To earn the advertised APY of 0.90%, customers must deposit $100. True to its name, the High Yield Savings account offered by CIT Bank has one of the highest savings rates among the Best Savings Accounts with 1.05% APY. This free savings account has a low minimum opening deposit requirement of $100 to get this rate and no minimum daily balance requirement. Reminder: In terms of interest rates, there's no difference between a money-market account and a savings account. “Money-market account” is simply a marketing term for high-balance/high-yield savings accounts. Barclays is offering a 1.50% APY for its online savings account. There are no monthly fees or minimums either. They also offer some attractive CD Rates. (Rates as of January 23, 2018.) Barclays requires no minimum balance, and there are no monthly fees. They also advertise interest is compounded daily. Barclays is a large bank, that has been around for over 300 years, and operates in 50 different countries. Barclays and GE Capital Bank for Money Magazine's Best Savings Account of 2013. Everbank offers high-yield checking, savings and money market accounts with a variety of APYs, including a one year intro rate of 1.11% APY for Yield Pledge Checking and Money Market Account holders. There's a $5000 minimum deposit to open. Click through to learn more. (Rates as of December 11, 2016.) EverBank is an online-only bank that has been named “Best of the Web” for 5 consecutive years by Forbes.com and was also named “Best of the Breed” for online banks by Money Magazine. Sallie Mae Bank has a 0.85% APY high-yield savings account with an added twist: If you use Upromise, the Sallie Mae savings account gives you a 10% rewards match. Read more here. (Rates as of December 11, 2016.) SallieMae is best known for originating, servicing and collecting on student loans, and while they have a very competitive rate on the SallieMae high yield savings account, they also stay close to their education focus by providing a 10% match on UPromise earnings. FNBO Direct has an 0.95% APY online savings account with a $1 minimum deposit. (Rates as of December 11, 2016.) FNBO was named best online savings account by Kiplinger's Personal Finance magazine. FNBO has also been rated as one of the safest of the major online banks according to a study by bankrate.com. Savings Square Savings Account offers 0.55% APY. $200 minimum to open. Electronic interface only. I've had a couple readers tell me setting up an account at Savings Square is a nightmare. Rate as of December 19, 2014. Presidential Online Bank Premier Savings Account offers 0.50% APY on balances up to $35,000. Balances in excess of $35,000 earn 0.25% APY. Why rates drop as your balance goes up is a bit of a mystery. No fees, ATM access, web interface. $5,000 minimum to open. Rate as of December 19, 2014. Emigrant Direct Savings Account offers 0.50% APY, no fees, web interface. No minimum. GRS readers like Emigrant Direct. Rate as of December 19, 2014. The rate of personal savings has been increasing recently, even despite low rates. A reader sent in a story about online banks last November, but that discussion was specifically about customer service. I'd like to hear from people who use one (or more) of these banks and can tell me more about the features. Which one should I choose and why? You may also be interested to learn about rewards checking accounts. Also, Canadian readers should check out this article about Canadian high-interest savings accounts. You can use the EDIE calculator to check on which types of accounts at which banks and for which amounts are FDIC insured. Do your homework and choose an online savings account that works for you. Have you been able to find savings or money market account rates that are even better than the ones listed here? If so, please let us know. Don't forget to include all the details: name of the bank, state, rate, when you opened this account with this rate and whether one can you open an account online or have to come in person. 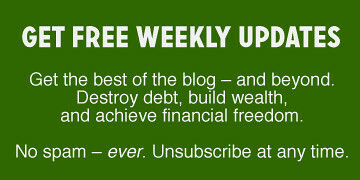 I'd like to find the best possible savings account rates and money market rates to share with Get Rich Slowly readers. Rates are low right now, but they'll rise as the economic crisis eases. For more information about these banks, please see the 1,700+ comments that follow this list. When it comes time to research which online high-yield savings account or money market account is best for you, take a look at the information we consistently maintain on this page and bookmark it. Plan to come back frequently to check that your accounts are still performing the way you want them to in light of any new rates and terms being offered. An online savings account or money market account is a safe and convenient way to earn interest on funds that you may need easy access to. Either is a far better choice than simply keeping extra sums in cash or in a checking account. Banks are not required to be insured by the Federal Deposit Insurance Corporation (FDIC). Most are FDIC-insured up to the legal limit of $250,000 per depositor, per insured bank, for each account ownership category though. Monthly maintenance fees, statement fees, and ATM charges are just a few of the ways banks charge for their services. Since these costs can quickly exceed the interest you earn in your account, it is very important to compare each bank's fee structure to find the most competitive terms. Banks may require that a certain amount of money be deposited when you first open a new savings account. Some banks waive that requirement now and allow you to fund your new account with whatever balance you choose. A minimum deposit requirement is more common with money market accounts, however. Likewise, some banks require that you maintain a certain minimum balance in your account at all times in order to avoid paying their monthly maintenance fee. You can make up to six withdrawals or transfers without charge from your savings accounts during any statement cycle according to Regulation D of the Code of Federal Regulations, Title 12, Part 204. Even though many money market accounts allow check-writing privileges and debit-card transactions, Regulation D applies to this type of account as well. Many online banks make it easy to transfer money between your various accounts even if they are with a different bank. This is especially convenient when you open your new online savings or money market account. One of the best features of online accounts is that you can manage your money whenever you like 24/7/365. You don't have to travel to a branch or wait for it to open. It is possible to do your banking from anywhere with some of the mobile banking applications available at an online bank as well. In addition, online banks invest heavily in making sure that every transaction is secure. We're working hard to find the best possible savings account rates and money market account rates to share with the readers of Get Rich Slowly. Do your homework and choose an online saving or money market account that works for you, and then share that knowledge with others in the comments.